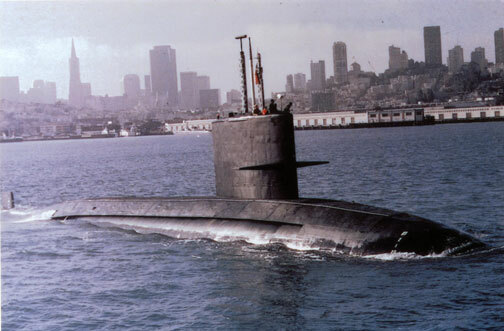 USS Blueback was the last non-nuclear powered submarine built by the U.S. Navy, and the last to be decommissioned after serving her country for 31 years. Blueback and her sister ships of the Barbel class utilized radical new concepts in post World War II submarine design, the most important being the teardrop hull and a single propeller. The new teardrop hull design was a critical feature which increased underwater speed dramatically and enabled submarines to be almost as maneuverable underwater as airplanes of similar dimensions in the air. Other innovations included sail-mounted control planes and advanced mechanical, sonar and navigation equipment. Blueback participated in Pacific Fleet operations, including transiting of the Panama Canal. In September 1961, she set a record by traveling 5,340 miles from Yokosuka, Japan to San Diego entirely submerged. 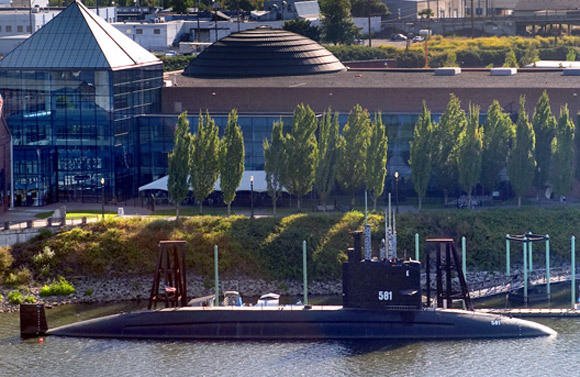 OMSI took possession of Blueback in February 1994. She is currently the most modern submarine on public display. Guided tours are provided seven days a week. Overnight science camps are also conducted.